I Love You More Than Carrots: Breakfast Rut? Try Grilled Banana and Nutella Paninis! Breakfast Rut? 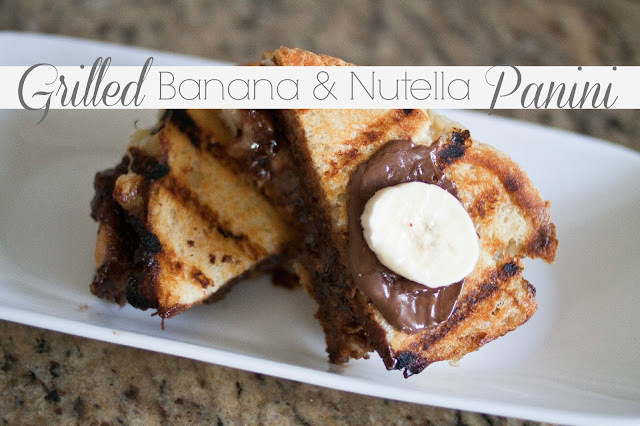 Try Grilled Banana and Nutella Paninis! Most mornings I find myself in a rut when it comes to whipping up quick and easy breakfast ideas. Every now and then I reach for the Nutella and decide to make myself and the boys a little breakfast treat. For this recipe, a little Nutella and a couple of bananas go a long way. Want the recipe? Click here! Also, it is not fair that you post something like this for breakfast when you look so darn skinny, lady! I want to know what you're really eating for breakfast! Can you come to my house and make my meals....I think I gained 5 lbs just looking at this! Oh yummmmmm! I must go check this out! I've got to do this! !